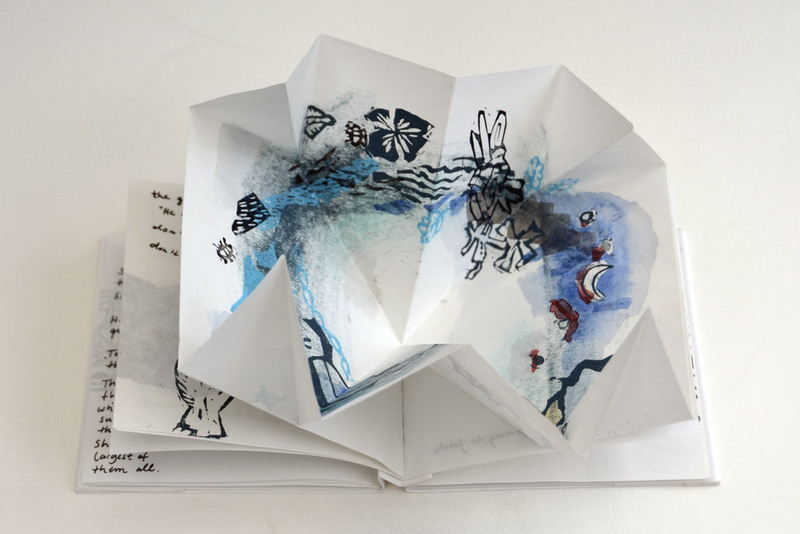 Winter story is part of the Travel Exhibition initiated by deer press. This project was created at the Spark Box Studio in Picton, Ontario. I was inspired by H.C. Anderson´s fairy tale The Snow Queen. Gerda, the young girl, goes in search for Kai who was taken by the queen to her land of ice. I used used different pop-up elements and experimental book foldings to tell the beautiful winter story.